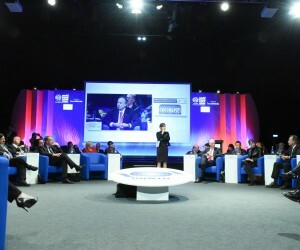 The UNWTO & WTM Ministers' Summit is one of the highest-profile sessions of the entire event. Now in its tenth year, more than 100 tourism ministers and their aides from around the world were joined by board-level representatives from some of the biggest travel companies. 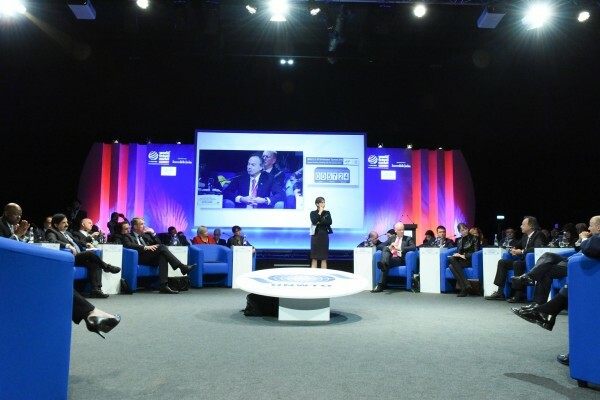 This year's Summit called on the industry and governments to work together to help destinations cope with the threat of terrorism, which UNWTO Secretary-General Dr Taleb Rifai described as "forces of darkness". Zutshi's call was echoed by Fritz Joussen, Chief Executive TUI Group, who noted people’s perceptions often compound the problems of terrorism. “The probability of being killed by a terrorist is lower than having car accident on the way to the airport,” he said. Valentina Correa, based in Germany but originally from Colombia, runs www.unpocodesur.com, an adventure blog. "We have relationships with tour operators but WTM is a fantastic chance to talk to tourist boards and hotels as we look to widen our coverage. It is a great chance too to educate some of the exhibitors about the benefits of working with bloggers." WTM London is now applying its highly successful Speed Networking concept to new verticals, with a dedicated Wellness session also taking place today. Lisa Wakefield Programme Leader University of Derby said: "We run International Tourism and Spa Management degrees and courses in hospitality, the culinary arts and event management and I've managed to talk to lots of businesses about taking our students on placement."